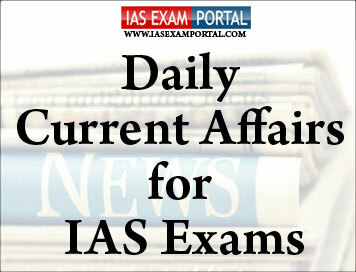 Current Affairs for IAS Exams - 08 FEBRUARY 2019 | IAS EXAM PORTAL - India's Largest Community for UPSC Exam Aspirants. With less than two months to go for the deadline to link Permanent Account Number (PAN) and Aadhaar, only a little more than half of PAN holders have linked them, Central Board of Direct Taxes Chairman Sushil Chandra said. Mr. Chandra’s statements come just days after the Supreme Court ruled that the linking of PAN with Aadhaar would be mandatory to file income tax returns from April 1, 2019 onwards. According to him the government could even cancel the PAN cards that were not Aadhaar-linked after the deadline of March 31, 2019. The Section also says that “in case of failure to intimate the Aadhaar number, the permanent account number allotted to the person shall be deemed to be invalid”. Reports suggeststhat one of the detainees in the Detroit area facility was initially told that he would be released in 2-3 days without bond if he promised to leave the country. However, he was later told by his ICE case officer that it could take two to three weeks for his release, according to a source in direct contact with the detainee.